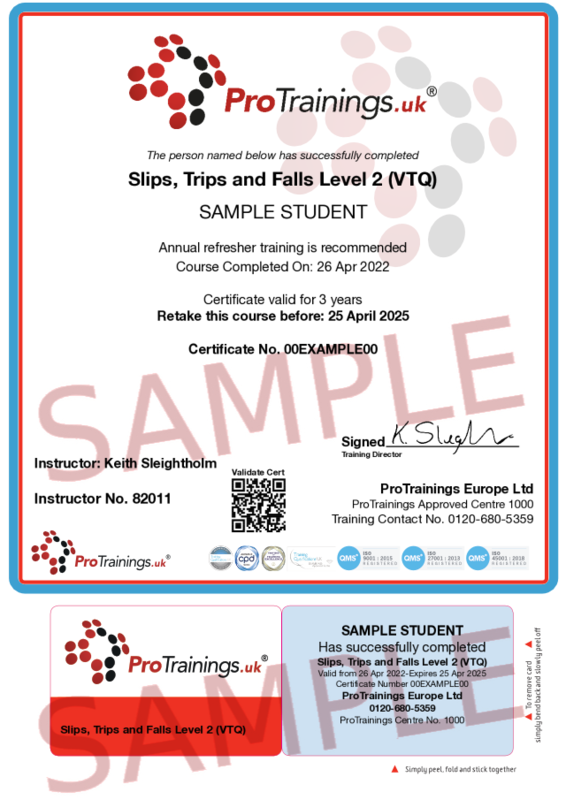 Slip, Trips and Falls training are required in most workplaces to identify where employees can get hurt. Understanding the risks of these easy to identify problems will result in less un-necessary injuries at work. This course is ideal for any workplace as the risks can be applied to any environment. ProTrainings Europe is proud supporters of Backcare who aim to significantly reduce the burden of back pain by providing information and advice to all people and organisations affected by back pain.